MOSCOW, August 30. /TASS/. The upcoming NATO drills in northern Europe near Russia’s borders are clearly anti-Russian, said Russian Foreign Ministry Spokeswoman Maria Zakharova at a briefing on Thursday. "The number of massive and wide-scale drills conducted along our borders is growing," she noted. 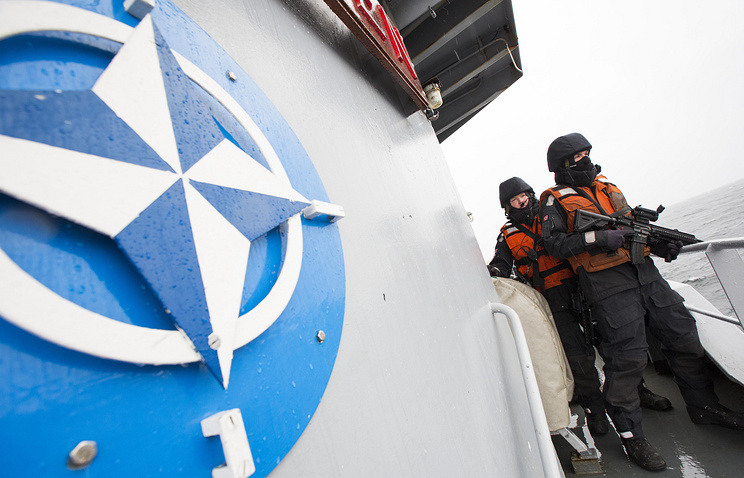 "So, in October - November the military exercises of the NATO joined forces, which will be the largest in 16 years, are to be held on Norwegian territory, in the Baltic Sea and the North Atlantic. 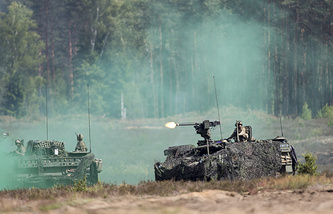 It is planned to train skills to conduct defensive and, what is crucially important, offensive operations at northern latitudes during a ‘high-intensity’ conflict with an equal enemy." "This show of force is to take place in direct proximity to the Russian borders and is clearly anti-Russian." "Europe’s north, which used to be quiet in the military aspect, and the Baltic region are turning into a range for simulating massive combat operations," Zakharova stressed. "It all is aimed at adjusting the public opinion to the possibility to transform them [the specified regions] into a real battle ground." The Russian Foreign Ministry spokeswoman reiterated that she regularly hears, almost several times a day, "statements on the build-up of some potential aggression by Russia against Europe." "It is actually the other way round," she stated. "The decisions of the July NATO summit in Brussels, that extend and complement the meetings in Wales in 2014 and Warsaw in 2016, are aimed at deterring Russia and prove the intention of the US and other NATO countries to build up military activity near the Russian borders and continue to explore the European battle ground and develop a base for putting pressure on our country. In addition, the course for a consecutive growth of the military costs of the NATO countries, especially arms purchases, was determined. That said, their joint military costs make up more than half of the global costs for these purposes and exceed many times - approximately 14 times - the Russian ones."